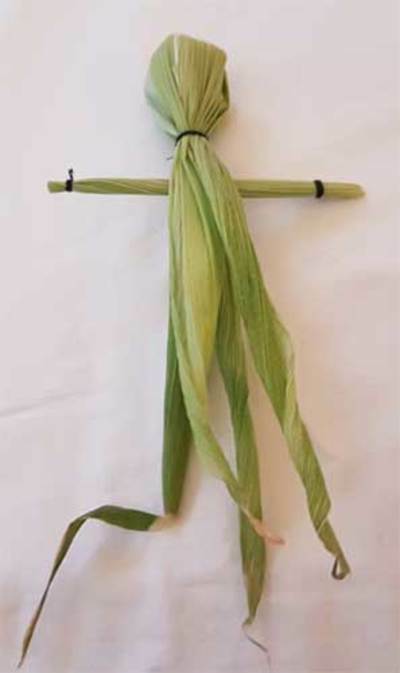 Try your hand at these quick and easy corn husk dollies when corn is cheap and plentiful. Put two (or any multiple of two for a fuller dolly) together. Fold in half. Wrap thread around (about 6 times) and tie off (3 or more knots) a wee way down from the fold to form the head. Fold a husk lengthwise, and then fold again lengthwise. 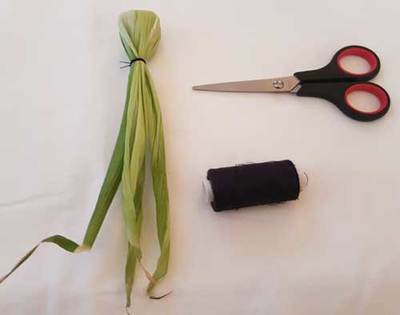 Wrap thread and tie off at each end of arm. You can guess how long the arms should be by putting it onto the main dolly. 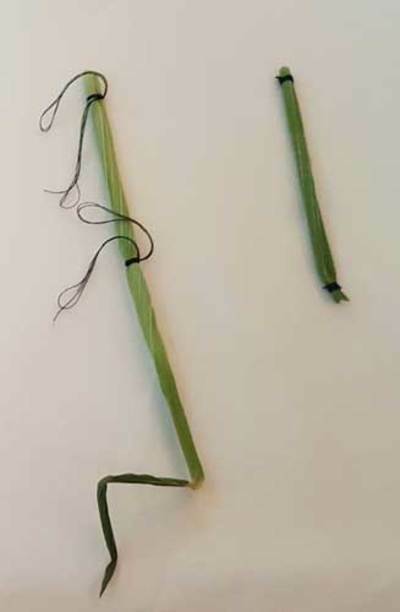 Divide the husks in half (in this case 2 husk leaves). Put the arms close to the tie off end of the head. Guess where the waist should be, then wrap and tie off. Fluff out the skirt. Trim the ends and your girl dolly is done. 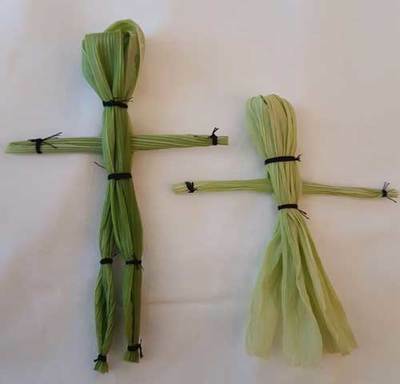 Divide the husks in half (2 side husk leaves in this case). Wrap and tie off where you want the feet. Wrap and tie off where you want the knees. Trim the ends and you have your boy dolly. Dress the dolly with strips of cloth. Attach them with the tie off method or hot glue.